Since 2015 the fintech market has changed dramatically but even bigger changes are yet to come in 2016 affecting financial services big time, believes Francisco Lorca, MD of a London-based fintech accelerator programme, Startupbootcamp. Tech is coming for banking as more fintech start-ups are springing up. There still huge gap between the collaboration of these two but accelerator programmes are changing the game, he feels. We talk to Lorca to find out more. So how can accelerators help to build better relationships between fintech start-ups and corporate partners? Most fintech start-ups need corporate partners to build their business, either to help validating the business model, complement the business offering or even selling. On the other hand, large companies can kickstart and foster innovation working with start-ups. At Startupbootcamp, the connection and collaboration is built via hands-on sessions with 400+ mentors, masterclasses on topics ranging from lean to legals, and focused partner days such as media, investment and sales. How incumbent banks benefit from the collaboration with fintech start-ups? I believe that working with start-ups provides incumbent banks a great opportunity to innovate their business model while running their legacy business. Some of the new services required by the market that can be “easily” built by a start-up are almost impossible to build inside a large corporation within such short timeframes. 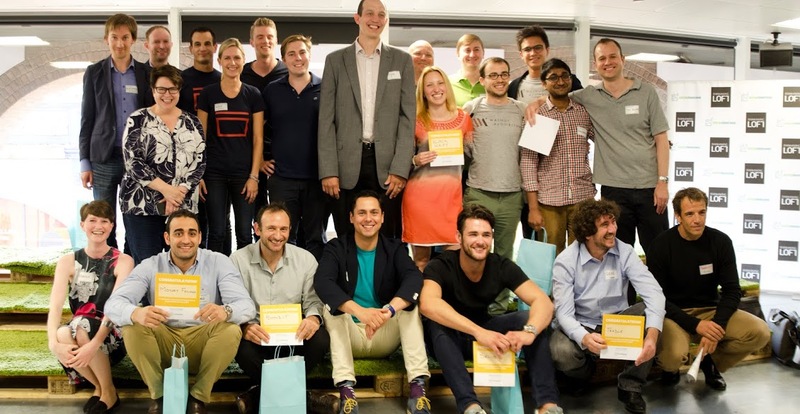 Any success stories to share from Startupbootcamp? We measure success in different ways. A fundamental part or our programme is to help companies to validate their offering by testing and validating their proposition with a large corporate institution. Firstly, start-ups need to prove that what they build is going to be used. Proof of concept and starting pilot project with a big corporation during the accelerator programme is what the start-ups should achieve during or after the programme. A great example from our 2015 alumni is WoraPay – it partnered with Lloyds Banking Group to beat the coffee queues. They started with a pilot with Gather & Gather – the firm that runs the food and beverage counters at all of the Lloyds offices. Now a few months later, WoraPay estimates that Lloyds colleagues have already saved more than 1,400 hours that would have otherwise been spent queuing. The fact that our start-ups attract investors is a testament of our work. Historically, more than 72% of the companies that come through our programme raise funding. Recently our 2014 alumni, Insly, a provider of a Software-as-a-Service (SaaS) solution for insurance brokers and agents raised €1 million in seed funding from the UK, US, Estonian, Swiss and German investors. And just a few days ago, Wired Money announced two of our alumni – Tradle and Cybertonica – among those taken to BBVA’s fintech start-up competition, Open Talent. What are the biggest challenges for banks to innovate? The biggest challenge, in my view, is being able to innovate while maintaining and growing the legacy business. The skills, needs and metrics to run a legacy business are often completely different to the ones of creating a new business model. This includes the culture, technical legacy and costs. How much are banks threatened by the rise of fintech start-ups? Incumbent banks will certainly be nibbled away by some of the new entrants, such as new banks and various industry specific providers. However, I believe that banks will learn to work with start-ups and change the financial services landscape together. There is huge benefit from the two-side collaboration while sharing the knowledge and expertise and bringing new revenue streams to both sides. What can be done to build a stronger bridge between the start-up community and the financial industry? More of what the accelerators are doing already? Understand and translate the language/timing and culture. One of the key success components in our acceleration method is having people that understand both how a start-up founder and an executive think, their needs and motivations. Serving as an interface, or translator is very useful to build these bridges. Fintech is regulated industry and collaboration is important, therefore there’s a need for a space that will connect start-ups and banks and offer the opportunities for co-operation. What’s the secret sauce for success in fintech? Great product, great team and persistency. Building a product that solves a problem and providing a strong advantage to products and services already on the market. Persistence is the key – don’t give up, test, talk to your customers or potential customers, test again and give them what they are looking for even if you need to change your business model which you most likely need to do. Build a great team with strong culture and talented people who want to help you to build the business. Connect with large traditional institutions to work together and forget competition with banks. 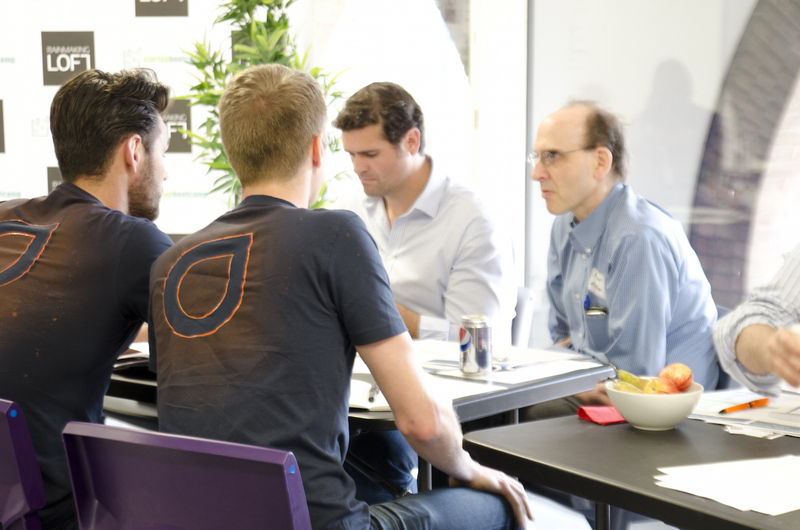 Finally – join an accelerator programme! If you are a start-up interested in participating in the Startupbootcamp Fintech 2016 Programme, click here to apply. Ten financial services startups have been chosen by startup accelerator Startupbootcamp FinTech to participate in its annual London program, which seeks to find the best new companies in financial services and bring them to market. Notable themes among the finalists include Bitcoin and the blockchain, big data, algorithms, cloud computing and social networking. Applications are open until 10 December. Francisco Lorca, MD of Startupbootcamp FinTech London, a UK-based accelerator, highlights the pitfalls of starting a fintech firm, drawing on his extensive 17-year experience in finance and entrepreneurship. European startup accelerator Startupbootcamp is preparing to launch a programme focused on the financial technology industry. Startupbootcamp FinTech, will be make its debut in London with support from banking group Lloyds and the Netherlands’ Rabobank.